Paying more than your competitors is never a good thing. It reduces your margin, hobbles your business and limits your ability to win work. We partner with quality suppliers who have the power to deliver on all three. Clients expect you to be on time, on budget and to communicate if there's any issues. Why should you expect any less of your suppliers? Doing business with suppliers that let you down will cost you time and money - not to mention your sanity! Asset expects all it's suppliers to provide members with professional know-how and advice, in a timely fashion. Information you need, when you need it. Asset's, cloud-based business platform Agility Project Portal brings communications together and helps suppliers get in touch with you when and where you need them. We also operate weekly updates for your state to notify you of any updates from suppliers. If and when issues do arise - your Asset Business Manager is here to help. Working with you and the supplier to iron out any crinkles. Professional builders are building homes, not houses. From a million dollar pad to a humble first-home, your clients expect the best they can afford. Your reputation depends on it! Utilising inferior quality products will not only leave a sour taste in your clients mouth, but could also cost you a lot more if they are not up to the job! Top quality doesn't have to mean top price - it does mean the best you can do within your limits! Asset invests time and resources into discovering what separates different suppliers before we bring them on board. With a team that boasts manufacturing, engineering and design experience, Asset has evaluated each Accredited Supplier individually to ensure they meet the rigours of quality that our members expect! Why pay more than your competitors? Asset works with suppliers to get our members a better deal. As it stands 0.4% of builders own 65% of the market, the other 99.6% compete for the remaining 35%. It's not difficult to see that suppliers can 'divide and conquer' offering the best deals to the big guys, and making their profits from the smaller ones! Asset works hard to ensure our members get the best deals - and we pride ourselves on helping them claw back market share from the big players. Join the group and get a better deal! Q: How long has Asset Builders been operating? A: Asset Builders has been in operation of over 20 years. Our constant dedication to our members and innovation ensures we won’t be going anywhere. 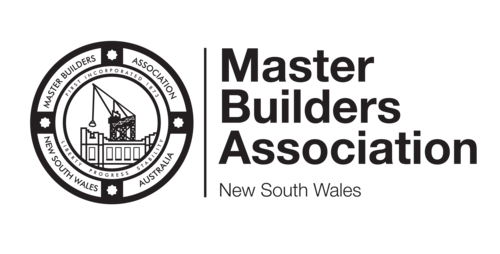 Q: Do I have to buy all my materials from Accredited Suppliers? A: No. There is no obligation to utilise Asset’s Accredited Suppliers. If, however, you're not satisfied with your current supplier, or you need a better deal - Asset is here to help! Q: Do I order my material through you? Its up to you. Agility Project Portal is designed to make it easy to place purchase orders, from you smartphone, tablet or computer. Orders are automatically pushed through to your accounting* system. If you already have an account with the supplier, we ensure you get the members rate. If you don't have an account we'll help you organise one. *Currently only available to Xero accounting. Q: Do you guarantee the cheapest prices? No-one can guarantee the cheapest price and you should be wary of anyone that makes this claim. We work hard to ensure our members get the best deal. Service, quality and price are all part of this. We dedicate ourselves to making sure our members have the ability to buy better. A: Yes - There are some simple rules to protect current members, suppliers and our reputation. These are explained in our members information pack. Q: Can anyone join Asset Builders? A: Asset Builders offers buying models for almost all products related to construction and development. Our services are available to builders and trades operating in the industry - in both the residential and commercial sectors. If you’re buying products or materials to complete your jobs, you are eligible to join.